Power analysis attacks allow the extraction of secret information from smart cards. Smart cards are used in many applications including banking, mobile communications, pay TV, and electronic signatures. In all these applications, the security of the smart cards is of crucial importance. 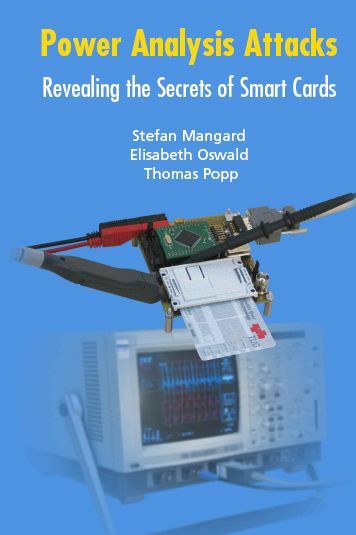 Power Analysis Attacks: Revealing the Secrets of Smart Cards is the first comprehensive treatment of power analysis attacks and countermeasures. Based on the principle that the only way to defend against power analysis attacks is to understand them, this book explains how power analysis attacks work. Using many examples, it discusses simple and differential power analysis as well as advanced techniques like template attacks. Furthermore, this volume provides an extensive discussion of countermeasures like shuffling, masking, and DPA-resistant logic styles. By analyzing the pros and cons of the different countermeasures, Power Analysis Attacks: Revealing the Secrets of Smart Cards allows practitioners to decide how to protect smart cards. This book also provides valuable information for advanced-level students and researchers working in information security. New online material has been added: scripts and working data to perform DPA attacks with windowing on an AES implementation that uses dummy operations as DPA countermeasure. An errata has been added to the webpage.